In this article we will discuss about Concept of Utility, Total utility and marginal Utility. 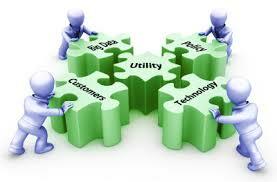 Utility means satisfying power of a commodity and consumer get satisfaction by consumption of goods and services. In other words utility means usefulness of goods and services for the satisfaction of human wants and it depends upon the intensity of human wants. According to the Prof. Waugh, “Utility is the power of commodity to satisfy human wants”. Concept of Utility, Total Utility and Marginal Utility. Total utility (TU) means total satisfaction obtained from the consumption of all possible units of a commodity. It includes total satisfaction which consumer gets from consumption of all goods and services. For eg. : If a person consumes one unit and get satisfaction of 10 units and when consumes second unit and gets satisfaction of 8 units and the total satisfaction which consumer gets is 10 + 8 = 18, the total utility is 18. So, total utility is the overall satisfaction which consumer gets after consumption of goods and services. TU = Total utility from given commodity. U1 + U2 + U3+…… = Utility from U1, U2 and other commodity. N = Number of unit consumed. 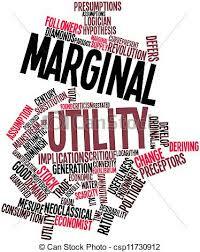 Marginal utility refers to additional utility derived from the consumption of one more unit from given commodity. According to the Chapman, “Marginal utility is addition made to total utility by consuming one more unit of a commodity”. Marginal utility means when consumer consumes additional unit 4 and get utility of 15, it is an additional utility it is known as Marginal utility. MUn = Marginal utility from nth unit. n= No of units consumed. So we have discussed the Concept of Utility, Total Utility and Marginal Utility. If you have any query please let us know in the comments section below.